Troop members have access to both the "PUBLIC" site and the "PRIVATE" site. click on the Member Login link at the top of the page to view the member-only folders. part of the Patriots Path Council of the Boy Scouts of America. Troop 163 has been chartered by the The First Presbyterian Church of Succasunna. We meet at Jefferson School on Cornhollow Road, in Succasunna, on every Tuesday at 7:30 PM - 9:00 PM (except the first Tuesday of the month). Generally, the scouting year is from September- mid-June - and new members are accepted during any time of the year. The Boy Scouts of America was incorporated on February 9, 1910. The First Presbyterian Church of Succasunna sponsors our Troop. As our chartering organization, First Presbyterian Church of Succasunna holds a “license” from the Boy Scouts of America to use the Scouting program as a part of its youth work. They also appoint a congregation member to be the Chartered Organization Representative. 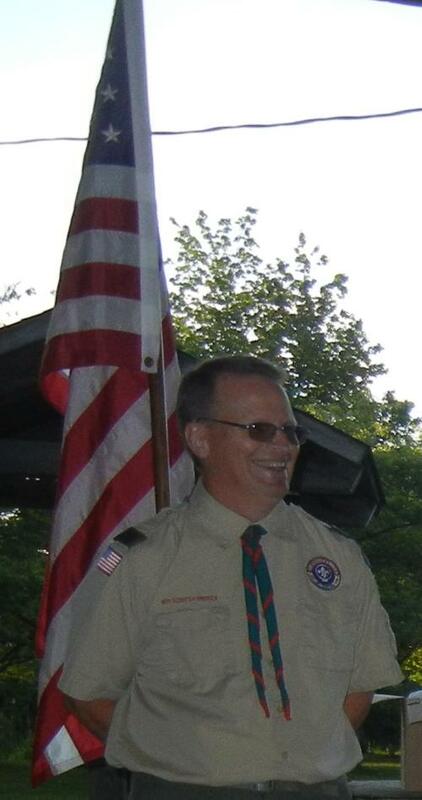 The Troop is lead by the Scoutmaster who is the adult leader responsible for the image and program of the Troop. Our Assistant Scoutmasters aid the Scoutmaster in program delivery and supervision of the Scouts. The Troop Committee, led by the Committee Chairman, supports the Scoutmaster and Assistant Scoutmasters in delivering a quality program through the handling of Troop administration. The members of our Troop Committee include parents of current scouts and other concerned adults who support the values and goals of scouting. Limited electronics are permitted (cell phones only, and by permission)– scouts are exposed to video games, TV, music, cell phones, and telephones continuously - Troop events and camp outs are a break from that type of technology. A balance between family, school, scouting and sports activities. Membership is open to any boy who is 11 years old, or one who has completed the fifth grade or earned the Arrow of Light Award, and is at least 10 years old, but not yet 18 years old. Boys may join any time during the year, as long as they meet the age requirement. There is an annual registration fee of $46.00 ($58.00 if the Boy's Life Magazine is desired - it is highly recommended, but not mandatory). Here is the breakdown of the fee. 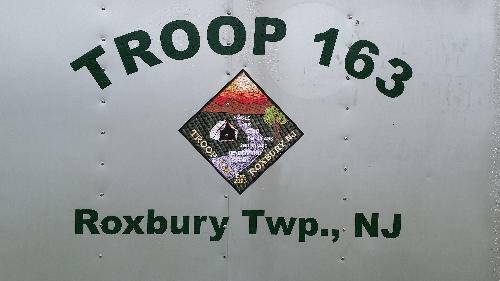 Troop 163 does not charge local dues. Money utilized to purchase troop equipment (tents, cook kits, stoves, etc), to assist scouts paying for summer camp, to purchase merit badges and rank advancement as well as other programs throughout the year are funded through our fund raising events. We do not want the cost of registration to prevent any boy from participating with Troop 163. If this is your situation, please speak with the Scoutmaster. The Troop pays for the registration fee of adult leaders who are active (attending committee meetings, troop meetings, fundraisers and other outings), and have passed the basic training requirements as outlined in the Leader Training Matrix which can be obtained from the Training Coordinator. The Troop also pays for or reimburses most training and refresher courses for the registered scouts and adults of the troop. Questions regarding training can be directed to the Training coordinator. Should any adult leader choose to not seek reimbursement for training fees, mileage and other costs paid by the individual adult, these are tax deductible and do help to stretch troop funds. Any questions regarding reimbursement of various expenses for adult leaders should be directed to the Troop Committee. We accept new member applications throughout the year, and we have activities throughout the year as well, except for August. Please contact the Scoutmaster and fill out the Youth Application form attached on the bottom of this page. On behalf of Troop 163, we welcome you and your son to the Boy Scout community. I also want to thank you for considering Troop 163 for your son. We hope his years in Scouting will be a fun-filled and an educational experience. You may be wondering who we are and what we do. This is explained throughout the Policies and Procedures Document. Our website also provides you with the most current Troop information. As is necessary in any organization, Troop 163 does have certain rules and policies your son is expected to follow as a Scout. The success of having an adventurous and safe outdoor program rests in the ability of the Boy Scout to take responsibility for his own behavior. All Scouts need to know what is OK and what is not. Please review this together, fill out the Annual Health and Medical Record Part A & B (Medical Form) as it is required for all participants in Scouting events. Sign and return the last page of this packet during orientation or the next troop meeting. If a parent plans on attending a Scouting event they must also fill out the Annual Health and Medical Record Part A & B. If you need any further information, please email me at the address below.